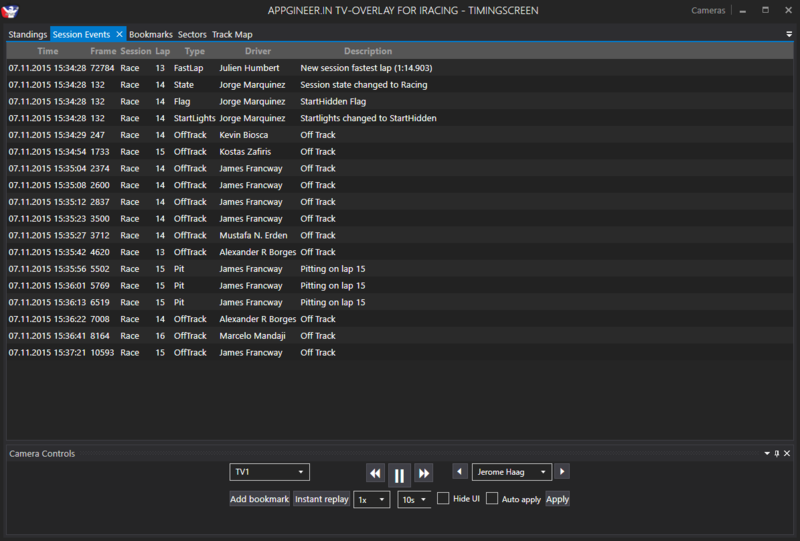 What is ATVO - appgineer.in TV-Overlay for iRacing? ATVO is a broadcasting overlay software that allows it's users for show additional information for their viewer live on screen during a broadcast. 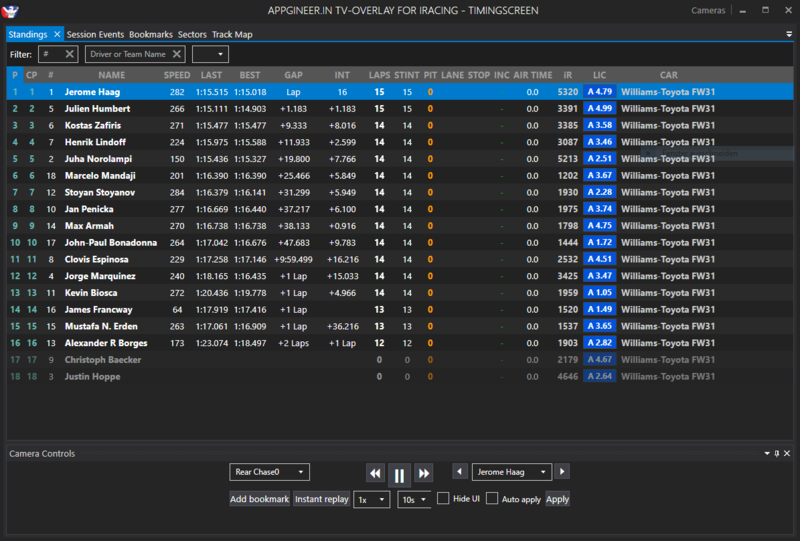 It works on the data provided by iRacing's software development kit, calculates addional data based on what iRacing delivers and presents it customizably right on screen. ATVO includes our ThemeEditor. With our ThemeEditor your will be able to create the themes for ATVO like you want them to be. You can choose between many different types and sets of data to present the race in your own way. 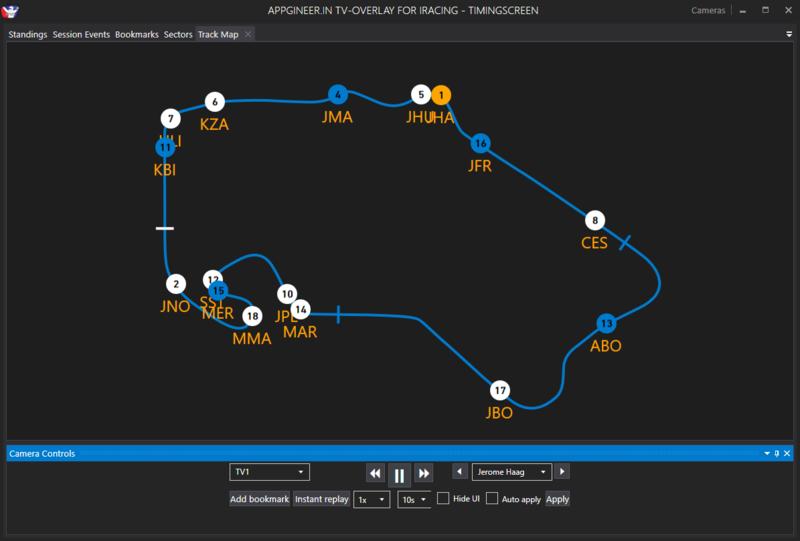 Use customized Themes to make the race and the broadcast yours. Create your own themes, widgets, etc. Use scripts to show even more information to your viewers. Share your themes with others. Coming soon: Animations! - Animate every element of your overlay the way you want. The ThemeEditor is a fully-funtional development environment for your personal ATVO themes. It helps in a very easy way to build and customize your overlay. ATVO is able to show animations like you know from a TV broadcast. You'll soon be able to create your own themes as well since we got this new, awesome feature in development! Ever wanted an intuitive way to control your broadcast overlay? ATVO is probably your tool of choice! See what's going on our trackmap. It's live! 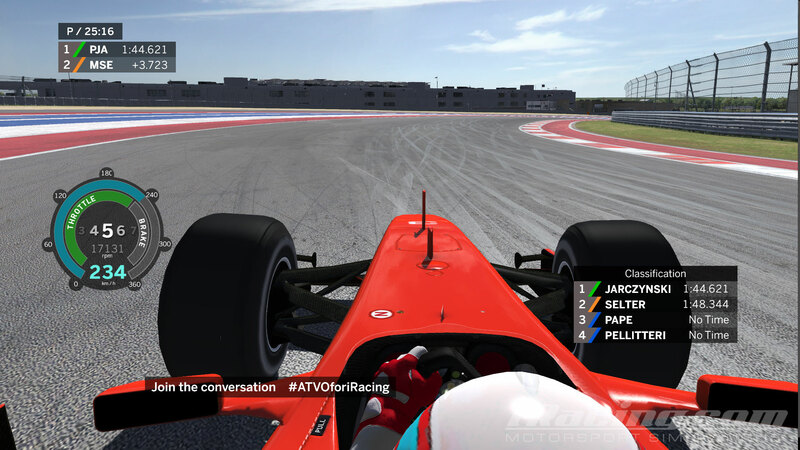 Let your commentators receive more information about the drivers. Like their names, position (class position as well), best & last lap, current gaps, pit stop counter, iRacing license, iRating and a lot more! Missed an event or incident? Just jump towards this event by double-clicking it! You can re-arrange every part of the control window. 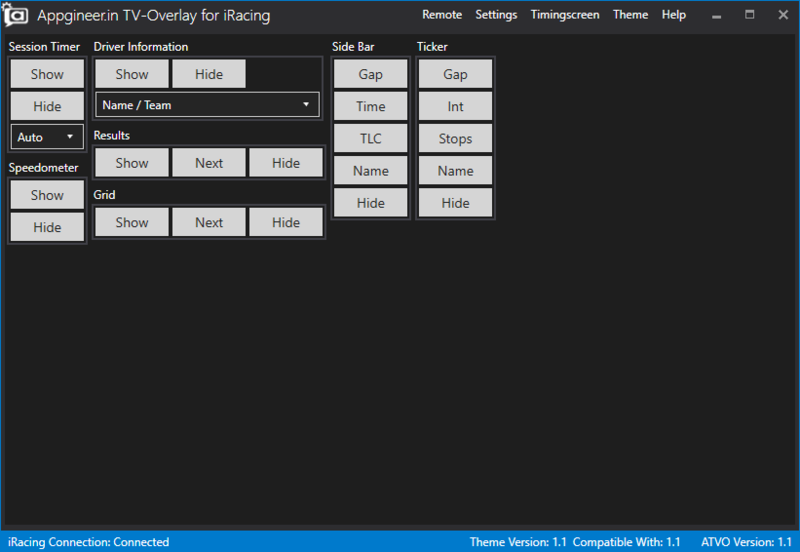 Build your own control-layout to have all information available the way you want it to be!